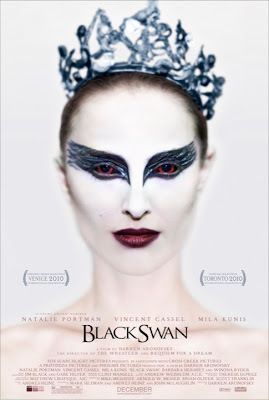 Darren Aronofsky is one of my favourite directors and one of the most promising filmmakers working today. His filmography, short though it may be, is filled with unique and amazing films. If this trailer is any indication, he will add another jewel to his collection. Oh, and it has Natalie Portman making out with Mila Kunis. Yes. You read this right. Natalie Portman. Mila Kunis. Making out. You hear that? That is the sound of a thousand geeks' heads exploding.